This is from a Paper Smooches set, 'My Peeps'. I think you can see in the photos that the feathers are individually stamped, cut out & glued at one end, so they stand off the card. I added some Crystal Stickles for a little sparkle. I hope you'll pop on over to the Passion For Promarkers blog to see the wonderful creations of my fellow D-Teamies. That's all from me for now. Have a great week. You may be wondering what the heck this. My son, for whom I made this card, spends half his life playing Clash of Clans. So I found an image of a Golem, from the game, on the internet & coloured it for him. I added the balloon myself to add a sense of fun. I hope you'll pop on over to the Passion For Promarkers blog to see the fabulous creations of my fellow D-Teamies. Our sponsor this week is Digi Stamp Boutique who are offering our lucky winner a £10 voucher to spend in their store. So there you go. Thanks so much for looking. Have a good week. I used Sugar Nellie - Oceans Gift for my card, with Stickles on her scales & Glitter Dust on the pearl & uber-cute sea horse. Pop on over to the Passion for Promarkers blog to see the fabulous creations of my fellow D-Teamies. This week we are sponsored by Uniko stamps who are offering one lucky winner 1 (in stock) stamp set of their choice. This week we have 2 generous sponsors. Our first sponsor is Letraset and they are offering one lucky winner a 6 pack of Winsor and Newton Brushmarkers in rich tones. 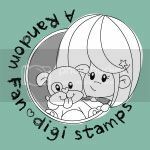 Our second sponsor is Bugaboo stamps and they are offering one lucky winner a $21.00 voucher to spend in their online store. They have so many fun images you will be spoilt for choice. I hope you'll pop on over to the Passion for Promarkers blog to see the wonderful inspiration of my fellow D-Teamies. Our generous sponsor this week is Dies to Die For and they are offering one lucky winner a £15.00 voucher to spend in their online store. There are so many goodies that you will be spoilt for choice. Pop on over to the Passion For Promarkers to see the wonderful creations of my lovely D-Teamies. For my card I used an old Kraftin Kimmie image called Joanie. The papers are Avery Elle - The Zen Collection. So just wait till I tell you about our anniversary celebration. Play along with us this week at Passion For Promarkers & you could win a fabulous prize. We have loads of wonderful sponsors for you, so time to get busy! Letraset are offering one lucky winner an amazing prize of a 25 pce Mixed Media Set. DigiStamp Boutique are offering one lucky winner a £10.00 voucher to spend in their online store. Bugaboo stamps are offering one lucky winner a $30.00 voucher to spend in their online store. LC Designs are offering one lucky winner a mini paper pack called ‘Dinkies nice and stripey’. Sassy Studio Designs are offering one lucky winner a prize of a $20.00 gift certificate to spend in their online store. Di’s Digi Stamps is offering one lucky winner a $12.00 gift voucher to spend in their online store . 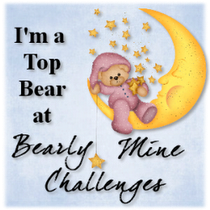 Clearly Besotted Stamps is offering one lucky winner a £15.00 gift voucher to spend in their online store. 2 cute ink stamps is offering one lucky winner 3 digi images of their choice. Uniko stamps is offering one lucky winner one in-stock stamp set of their choice. Little Things from Lucy’s Cards is offering one lucky winner 8 shaker selections of their choice. Told you the prizes were good didn't I! Time to get your Promarkers out & get busy. I look forward to seeing your wonderful creations. This has to be one of my all time favourite images. Originally by Sugar Nellie & then Belles & Whistles, it is an Elisabeth Bell image & the papers are Prima Songbird. I hope you will play along with us this week for a chance to win a fab set of Letraset Promarkers. Pop on over to the Passion For Promarkers blog to see the wonderful inspiration of my wonderful D-Teamies. I recently bid farewell to my 30's & am a married mother of 2 darling little troublemakers, Jack & Ben. 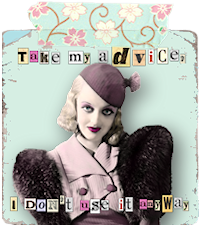 My passion is cardmaking & I love to share this with anyone who cares to visit! In the years I have been blogging, I have discovered that, without exception, crafters are a fun-loving, warm & most generous community of fabulous people, I feel lucky to be a part of. I love you all!